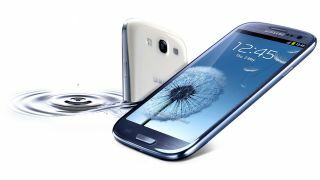 Apparently pre-orders for the Samsung Galaxy S3 have hit nine million units, as the countdown to its May 29/30 release continues. The report doesn't come directly from Samsung, but instead via the Korea Economic Daily, who claims to have spoken to a Samsung official. It reveals that orders have come from over 100 worldwide carriers and Samsung's South Korean-based factory is running at capacity – equating to five million Galaxy S3 handsets being produced each month. Samsung worked hard last year to avoid a shortage in Galaxy S2 stock but if the pre-order predictions are right for the Galaxy S3, we could still have an Apple-esque product shortage on our hands. The Samsung Galaxy S3 has been the most anticipated Android smartphone of the year, and early signs show it's not going to disappoint. It packs a 4.8-inch Super AMOLED HD display, 1.4GHz quad-core processor, 8MP camera, Android 4.0 Ice Cream Sandwich, NFC plus extra goodies such as S-Beam, Pop-up-play and Smart Stay. Find out about Samsung's third generation smartphone in our hands on Samsung Galaxy S3 review, or watch the handy video below.